Stylish and exciting Oui is a new brand to Nicholls Online, celebrating luxury knitwear, fun prints and attention to detail. 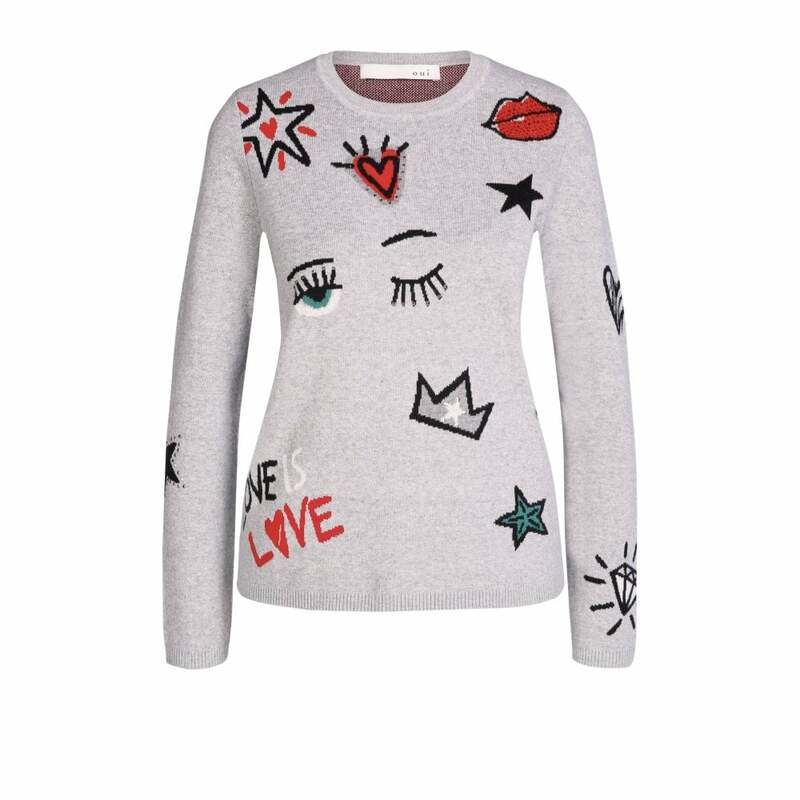 This eye catching jumper is perfect for adding a touch of fun to any outfit, crafted from 100% Cotton it is soft and comfortable. Simply pair this with your favourite black jeans and boots.